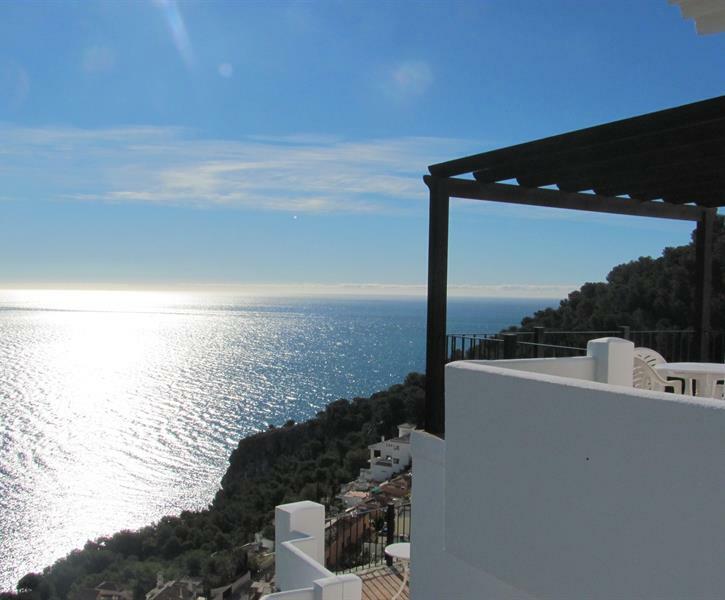 Exquisite views, incredibly comfortable and well equipped holiday home. Less than one hour from Malaga airport, this impressive & spacious detached four-bedroom villa is perfect for relaxing & enjoying the scenery, with a 10-metre-long private pool. Villa Celeste was absolutely perfect for our party of 9, including 3 young children. We felt very comfortable from the moment we arrived and literally fell in love with the sea views! The villa feels like an idillic retreat with captivating views from almost every window and balcony. Also, the layout provides lots of little snug spaces & there's a different feel to every terrace. It has all the mod cons yet has an elegant simplicity about it. The kids loved swimming in the pool and relaxing on the sun loungers, as we all did. Having breakfast on the balcony overlooking the sea was my absolute highlight and I shall miss it! Tim has been incredibly helpful and readily available whenever we have needed information and Chris the property manager is lovely and lives just 5 mins from the villa, which is reassuring too. Would thoroughly recommend Villa Celeste. It really is as beautiful as the photos, if not more so. Jätte fint hus med en makalös utsikt. Perfekt planerat hus när vi var många som reste ihop. (9st). Hit kan vi tänka oss att åka igen! This Villa Celeste was totally luxury❤ Beautiful house in and out and absolutely fantastic view!